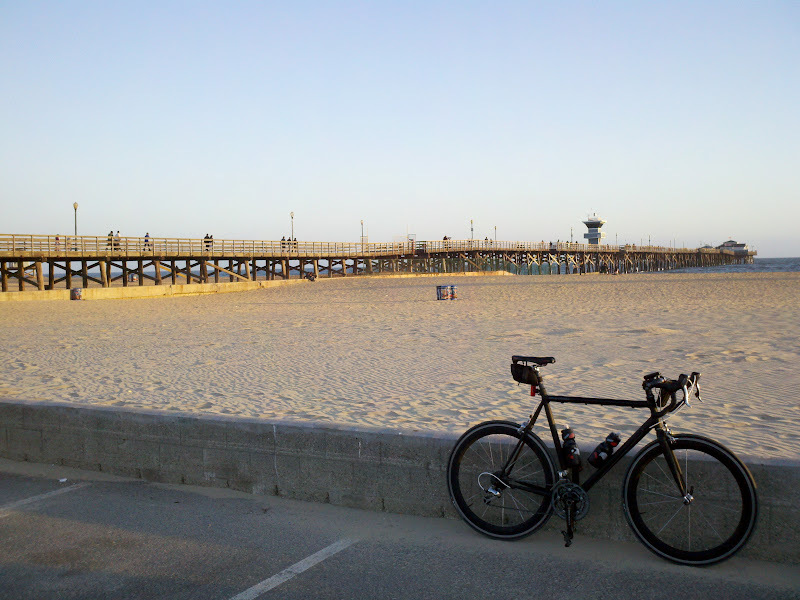 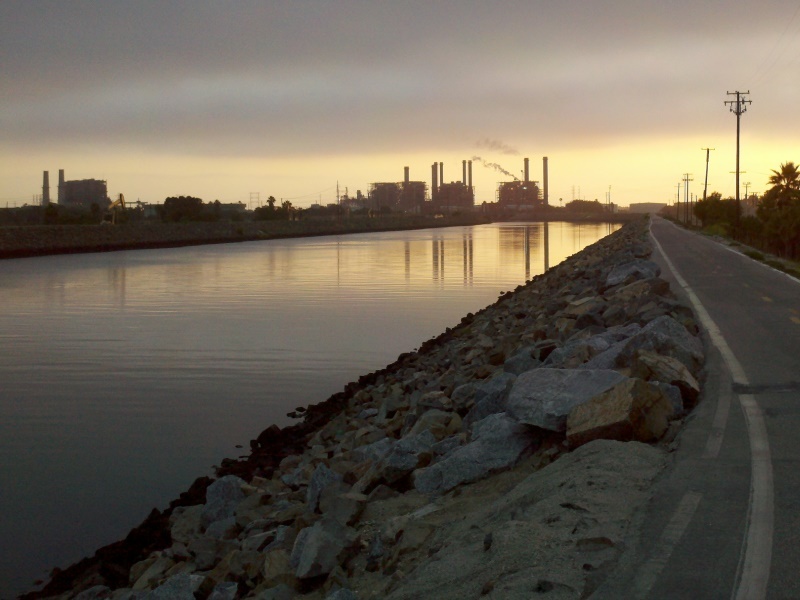 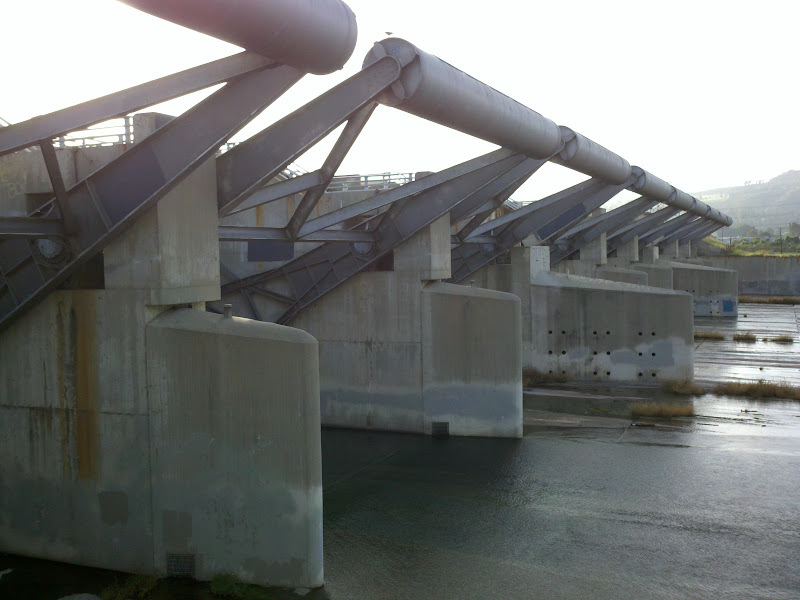 This ride starts in Seal Beach and follows San Gabriel River Trail for 38 miles (until the end), passing Whittier Narrows Dam and crossing Santa Fe Dam. 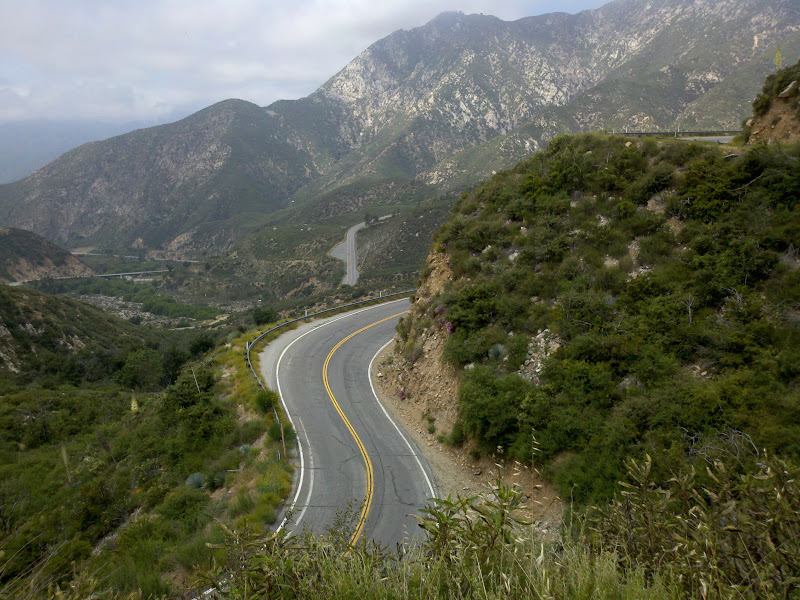 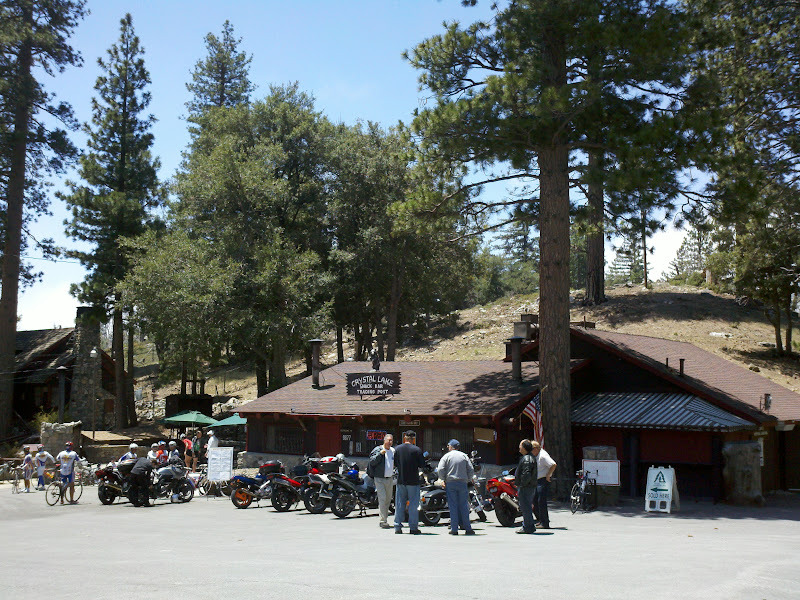 After exiting the trail, San Gabriel Canyon Road (Highway 39) and Angeles Crest Highway lead up to Dawson Saddle. 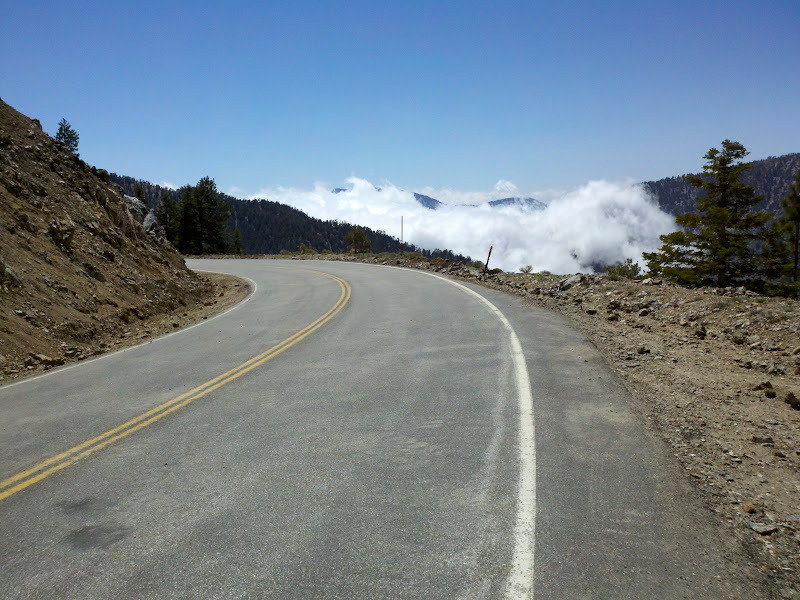 Above Crystal Lake turnoff Highway 39 is closed due to landslides, but it is in rideable condition (with a few short gravel sections). 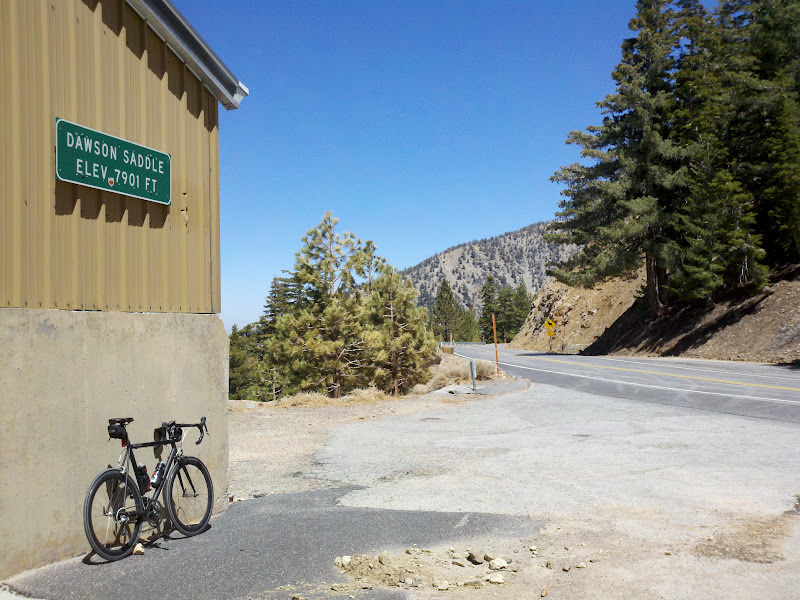 Starting in Azusa, the ascent can be broken into different sections: Morris Reservoir (short descent here), San Gabriel Reservoir (short descent here), East Fork turnoff (1,500 feet), Crystal Lake turnoff (5,000 feet), Islip Saddle (6,600 feet), and Dawson Saddle (7,900 feet). 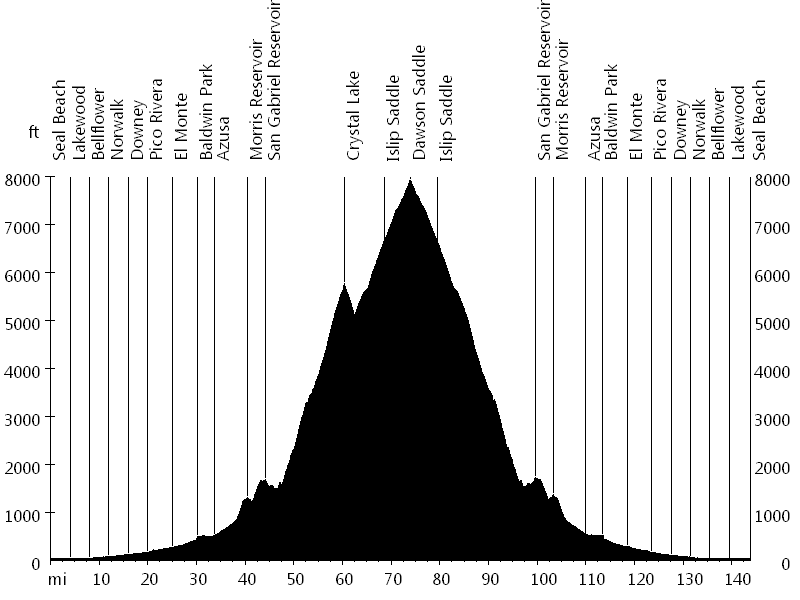 The ride back follows the same route. 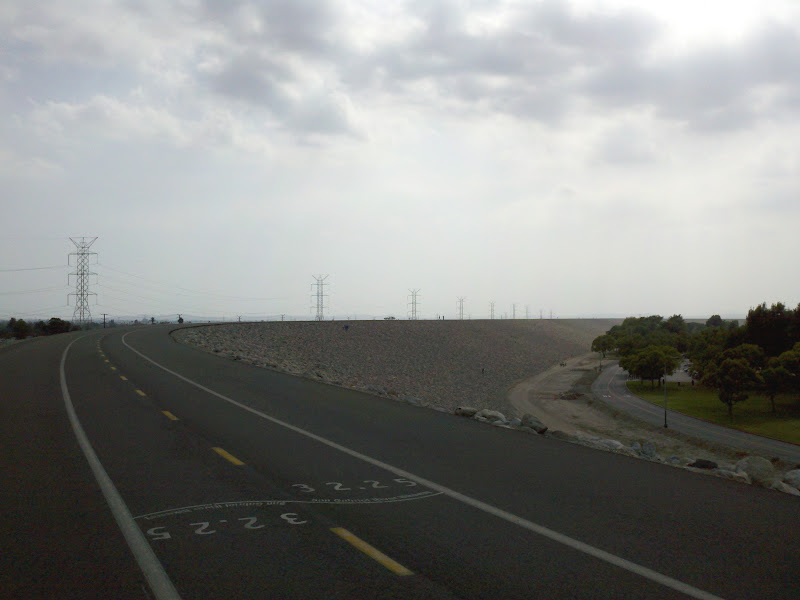 While it is mostly downhill and flat, headwinds may be encountered. 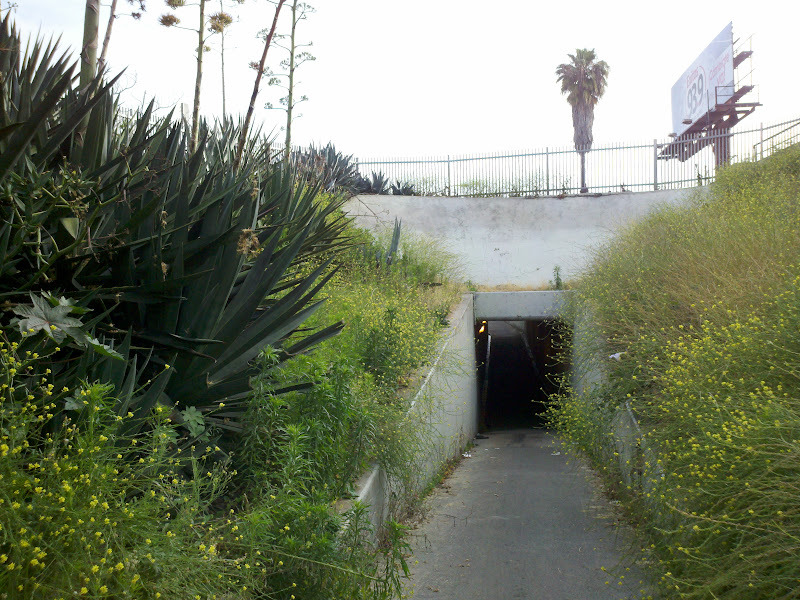 Several years ago safety was a concern on the San Gabriel River Trail, but I read that law enforcement has fixed the problem, and I have not encountered any issues. 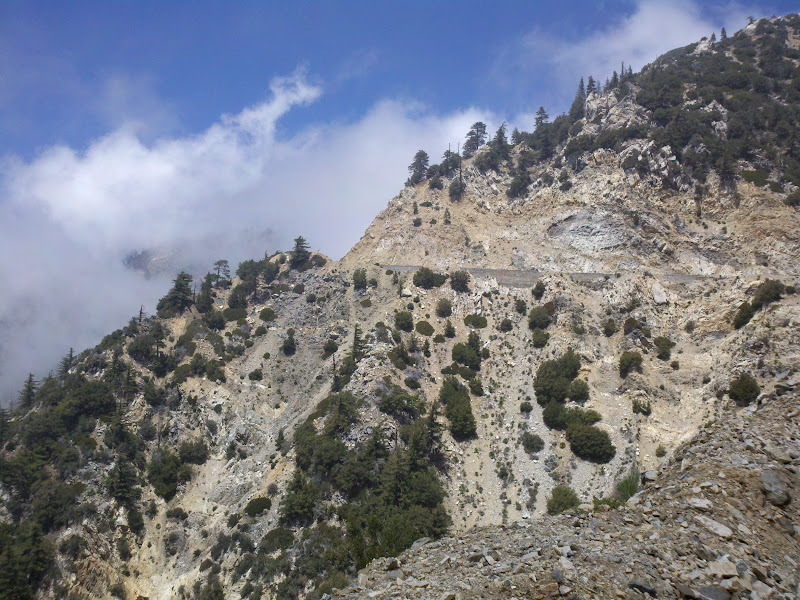 The climb to Dawson Saddle leads through remote territory without water, however, recently the road to the Crystal Lake Recreational Area and the store re-opened.